In terms of AF, the increased coverage area is part of what makes the upgrade a big deal: after all, it's the same AF system found in the company's flagship sports camera. The 150,000-pixel RGB-IR metering sensor, which feeds scene information to the AF system, is borrowed from the original 1D X, bringing enhanced subject identification (including faces) and tracking ('iTR'), as well as improved metering and flicker detection. The 5D Mark IV is Canon's first full-framer that can continuously focus in Live View during stills capture, and because of the way Dual Pixel AF works, focus is generally very accurate, even with fast lenses. It's surprisingly good at sticking to the original subject (or face) you initiated focus on, and it's easy to specify your subject by tappping on it on the touchscreen in 'Face Detect+Tracking' mode. Canon now offers a range of full-frame models. On the high end you have the Canon's sports and action-oriented 1D X Mark II, with its 20.2MP sensor and 14 fps continuous shooting (with AF). The 5DS (and 'R' variant), with their 50.6MP sensors, are the company's high resolution options. The 5D Mark IV splits the difference in terms of resolution and is positioned as Canon's all-rounder. For those on a budget, the EOS 6D soldiers on, four years after its introduction. After thirteen years of 1Series bodies, I just sold my 1Dx and ordered a 5D MarkIV. I'm looking forward to a lighter load and higher resolution. Who knows, I may sell my 1Ds3 and buy another for backup. 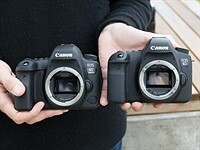 I’ve been impressed with the 5D MarkIV, so much so that I sold the 1Ds MarkIII and bought another. It produces nice files, does it quickly and in a lighter package compared to the 1Series I’ve owned over the past fourteen years. I like my 5D Mark IV but, when will Canon make a viewfinder that you can actual read in the daylight? It is so limiting and no one seems to mention it. Am I the only one with this viewfinder issue? Try a Hoodman Viewfinder Loop, it works great in daylight or anytime. I just thought I would give a review of my 5D Mark 4. I shoot pro sports 4 to 5 days a week. I bought this camera 6 months ago and while at work it quit working. Wouldn't do anything. I tried every lens and battery to make sure it wasn't that. So the next day I sent it to Canon. They replaced the entire motherboard in a brand new camera. When I got it back it worked for 5 frames. I sent it back again and they replaced everything else. I now can not trust this camera. I have asked for it to be replaced but have not heard back. When I do I will let you all know. On Page 9 (Image Preview), it looks like the RAW preview was exported with the Adobe Standard profile instead of the usual Camera Standard profile, which explains the faded red color. I've verified this by downloading the CR2 file and opening it up in ACR. The test scene is based on the use of Adobe Standard for all cameras to minimize the colour differences (the colour differences between brands are covered in the JPEG mode). I see. Then it looks like Adobe Standard Color profile for the 5D Mark IV is the issue as it doesn't match the reds in the previous Canon cameras when using the Adobe Standard profile. Is the Canon EF 70-200mm f/2.8L IS II USM Lens compatible with the 5D mark IV? All EF lenses work on Canon Full Frame bodies. I bought Canon 5D Mark-IV on 10th April 2017 and on 21st of August 2017, IT DIED. I was in the middle of a project and all of a sudden my camera stopped working. It just wouldn’t turn on. I sent the camera to the shop where I bought it from. After a day I came to know that one of the boards of Canon 5D Mark-IV is dead. I was on a project and relied completely on my 5D Mark-IV as I never imagined this brand new camera would betray me yet IT DID and i was helpless at that moment. I highly recommend to everyone out there if you have this camera and you work as a professional please have another backup camera in your gear bag. Another painful thing is now I need to wait at least 45 days as the warranty claim process requires this much time . Seems you were very unlucky... since it's extremely rare for a Canon to have manufacturing fault. U have 2 bodies (I assume the Mark III worked fine as your backup) and 3 L lenses so in the US & Europe you have enough equipment for CPS membership. I just posted about the same thing. Did they replace yours? I do not own either, but when I've played with both the 5D MKIII and 5D MKIV at Adorama and B&H. The MKIV actually seems slower in burst mode. This is strange since it is listed at 7 fps vs 6fps. Perhaps it is because the floor models do not have SD cards fitted? Most likely, someone enabled the Digital Lens Optimizer feature on the 5D IV. It can provide additional correction for lens aberration and diffraction, but it really slows down the camera. I ran into this on a shoot with the 5D IV when we first got it, but once I realized the cause it was a simple menu toggle to change it. Who cares? I love my 5DlV. Loved my 5Dlll. I am crazy about my 11 L lenses and my 1 Sigma Art. Until you use something, your opinion is irrelevant. Anyone pay for the C-Log upgrade? I'm curious to see how it looks. I will get the upgrade as a part of the price i payed for the camera earlier this week. I have a C100 mk. II allready (with an Atomos recorder), so it will match the footage from that. I will primarily use the 5D4 as B-cam for the C100 and mostly use 1080 (where i don't know if the c-log will work), and as a great stills camera. I upgraded from a 5D2 - skipping the 5D3. The 1080 out of the 5D4 is so much cleaner than what i've seen from the 5D3. And i can use a (now pretty cheap) Atomos to get 4.2.2 in 1080 - 8bit (i know) as my C100 II. what is the price of Sony 85mm f/1.4 ZA compare to Canon 85 1.8?? I guess one might rather compare the Sony 85mm f1.8 to the equally spec'd Canon. However, the Canon was introduced approx. 25 years ago, and the Sony just recently. Guess the Canon wouldn't be that inexpensive if being an equally new design. That said, the Canon EF 85 f1.8 remains one of the best bargains around (I find the bokeh a bit harsh, but the lens is still quite good esp. for the price). And the Canon works just as great on a Sony body. Does somebody know the behaviour of very long processing after rg. 12 JPG shots? Red light is blinking, control image preview does not appear at all - even after blinking ended. That happens sometimes. Looking to upgrade to Mark iv after long usage of workhorse 7D. One problem with that camera when shooting video was audio mike attenuation ....when conversation or scene noise stopped or lowered, the background hiss would noticeably increase. Had to get around that by feeding camera audio through a BeachTek box. Is this still a problem in the 5D family? Set the mic-gain to manual. Set for the highest pitched audio you gonna record, and you don't get the hiss when volume lowers. Use another microphone than the inbuild, as it picks up the IS and the handeling noice. One feature not mentioned in reviews, but selectable from the menu, is the Digital Lens Optimiser. This is claimed (among other things) to cancel the effects of the AA filter and yield sharper images. I selected it when I first set up the camera, and then went into panic, thinking that I had a faulty camera, because it renders continuous drive unusable. Reading the manual indicated that when this feature is selected, the buffer will be slower to clear. Canon are not kidding - it takes at least 2-3 seconds to clear after a single JPEG taken with DLO selected! Canon - you need to fix this pronto. Firmware update???? (with DLO enabled) "The image will be recorded with the following being corrected: lens aberrations, diffraction phenomenon, and the deterioration of resolution caused by the low pass filter". "If Digital Lens Optimiser is set to Enable, the continuous shooting speed will greatly decrease". ***Continuous shooting speed actually reduces to about one shot every 3 seconds, with JPEG or RAW***. continued... as usual, I have notified Canon directly of this issue, and await their response. "In regards to your enquiry about the Digital Lens Optimizer on the EOS 5D MKIV, we can confirm that, depending on the lens used, the DLO will take longer to process. We will take your feedback into consideration, though we cannot confirm if or when this can be fixed by updating the camera firmware. We advise to regularly check the website for the latest updates for the EOS 5D MKIV firmware." It's also available for other cameras in their DPP software. And requires a great deal of processing obviously. So how should the camera do something 3 times per second or faster which requires huge amounts of time on a PC. No way would I utilise the in-camera DLO though - not with such a huge time penalty that could easily result in missing an important moment. I guess it's real value would be for tripod-based photography, when time is not a major issue. Much like Dual-pixel RAW, it seems to have very limited value at its present stage of development, but when faster processors and new algorithms become available it could have real benefits. Looks like a great camera. It will slow down /stop some people moving to mirror-less like Sony A7rII. It will definitely buy some time for Canon to come up with a killer FF mirrorless camera for both stills and video. Would almost be the case here, but then the A7rII has higher resolution, still even better dynamic range, and overall better video capabilities. A "killer FF mirrorless" wouldn't appeal to me, because this is already available from Sony and because the only reason for me which might still convince me of Canon's 5D Series is exactly that it is NOT mirrorless but has an optical viewfinder. DPR said "As for us, we like it, and using speedy and accurate touch-to-focus on a rear screen instead of laying on our stomachs in the dirt for a low-angle shot is always an added plus." Since the screen is fixed you will still have to lay on your stomach for a low angle shot. It doesn't allow for as much flexibility as a tilting screen, but it's still worlds better from a 'don't have to lay on my stomach' perspective than an optical viewfinder. The viewing angle is pretty good. I can appreciate that but why did you criticize the articulating screen of the A99ii while praising the fixed screen of the Canon. Seems pretty inconsistent to me. I think it's probably been stated throughout the (many) comments on the a99 II, but the Sony's screen isn't touch-enabled while Canon's touch interface is one of the most polished on the market, the Sony's screen is a magnet for fingerprints even without touch sensitivity, the protective coating degrades quickly and requires replacement for best visibility sooner than you might think, and a majority (though not all) of the staff finds the Sony's tilting mechanism to be fiddly in actual use, especially with the camera on a tripod. But especially for the above quote you've selected, we find touch functionality to be generally as useful if not more so than tilting functionality. Having both, of course, would be ideal. Then we'll have to disagree on this because I find an articulating non touch screen way, way a thousand times more useful than a fixed touch screen. You let too much of your personal prejudices and opinions influence you on this. I would have to say that at a minimum a flip screen is an absolute necessity on anything but a pocket camera these days making the 5D IV about an 80 rating in my book. A touch screen is just a nice feature and nothing more. I believe that most people agree with me on this as a recent DPR poll pointed out. BTW, I have owned various Sony cameras since 2008 and have never had the coating disintegrate. I simply don't understand the idea that Sony's articulating screen is fiddly since I find it really easy to manipulate including for tripod use. I wish I lived in Seattle so I could show you how to use the darn thing. I suppose we will have to agree to disagree, then unfortunately, but I do respect and understand your opinion. As for the screen coatings, that's interesting - about half of ours have that problem, as well as a fellow coworker who has an original a99, and they don't see much abuse (we try to be very careful with our loaner gear). That said, you can simply peel off the protective layer and apply another one, so it's not a deal breaker, really, just an observation. tbcass - I think both are equally valuable. The touch screen on the 5DMkiv (yes I finally bought one) is extremely good, far better than using the AF toggle to make selections in Quick view, and for reviewing pics, swiping and pinching is much better than using buttons and dials to chimp or rate pics. It really does make a big improvement to handling, compared to 5DMkiii and 5DS. As Carey says, it would also be very nice to have a tilting screen, and I'd certainly find plenty of use for one. I'd prefer a tilting screen to a fully articulated one, simply because the latter would involve yet another unwanted rearrangement of back of camera buttons. I'm a little puzzled by Carey's condemnation of the a99ii screen though, as surely it is too early yet to pass judgement on the longevity of the screen coating? There have been some people who have had problems with the anti reflective coating pealing off. I have not because I keep the screen turned into the camera flipping it down only when I want to use it or, on the RX100 fixed screen and RX10iii which is tilting only, I purchased inexpensive stick on protectors. My RX 100 is 4 1/2 years old and I have had no problems. Yes, I realise that, the point I was making is that this hasn't been proven to be applicable to the a99ii model. It is quite possible that Sony have taken this issue on board, and fixed it on the a99ii. I'm sure potential purchasers would like to know whether Sony has sorted this potential problem. I certainly agree that it is wise with ANY camera, to fit a screen protector. It's the very first thing I do when I buy a new camera, and doesn't affect touch-screen usability (at least, not with the 5DMkiv or 80D, I can't vouch for other touch screens). @tbcass "A touch screen is just a nice feature and nothing more." I agree on the fully articulating screen...should have one on EVERY camera. I miss my g12 dearly, and while I'd love an 80d, going back to a almost full size crop body....errr....not exactly what i wanted to do....ah well. I don't like tilting screens at all... I'm really hating it, it needs more space to get build, is prone to get broken and is sometimes really badly protected against dust or water. I think the Tiltscreen-idea is outdated since the current bodies have WLAN and a smartphone is *WAY* more practical in every angle. There are nice solutions to clip it to the flashsocket if you want it tilted. It's even larger. I could not disagree with you more, on ALL of your points. Just admit you dont know how to use it properly, at least that we can believe. Sorry. We all have our own likes and dislikes but I disagree with every one of your points. On which points do you disagree? I can show you broken TiltScreens, only broken because the Tripod felt. And I don't like to use them, that's a personal taste... and therefor nothing to discuss about. Like and Dislikes are of course personal taste, but I'm really glad that the Pro-bodies don't include those selfie-tools since years. The 5D IV is my preferred hitter, uses the current lens stable and I like the results. After an early foray in digital, I moved 20D (still have it) 5D1, 5D2 and 5D3. The 5D IV shutter slap is sweet, distinctive in the way the film Leicas were, the M9 is okay, not the same. (I'm collect Screw and RF Leicas). A substantial investments in lense says Canon. I was looking at the same question on the 80D you mention. I bought the 80D as my sorta Canon lite. It's not a lot smaller, but it is lighter as are the smaller format lenses. I shoot most when I travel. At home and retired, it's with18-200 Tamron, mostly for my 7yo and 16wk old German Shepherds. I use it with a long FF 70-300 DO and a Sigma Bigma (50-300) for wildlife in suburbia or the lighter weight 18/200. I would prefer the 5D IV but the 80D is there without breathing hard. I love my film cameras, but -- that really gets involved and digital does things film doesn't - or makes it much easier. There's always the angle finder which does a fine job. In the month since I wrote that comment, were you working on getting the timestamp to display correctly, or just jotting down ideas for the epic comeback you just delivered, a propos of nothing? The notification system gets a bit overwhelmed if you're the author of an article (you get a single notification for all the activity that's occurred since you last checked, and the system thinks I've authored 408 articles, so isn't very good at notifying me). Or, to put it another way: I only just saw your comment and didn't check when it'd been posted. I probably should have added a smiley to make clear my intent. Alright - just to make sure that my intent is clear as well, what I meant was that the timestamps on these comments and replies are broken. I don't know if this problem has been noted. Perhaps it's related to the fallout from the Amazon S3 failure. Specifically, whether logged in or out, when I mouse over the timestamps, rather than getting the exact time of posting displayed as it used to do, I get "Posted GMT", with a date and time presumably missing between "Posted" and "GMT". I trust you'll know whose attention to bring this to. Cheers! Oh, no, I wasn't aware of that error. I'll report it. Are times displayed themselves wrong or is it just that the mouseover is not showing information? The normally visible times are correct afaics, but as you know, they're not very accurate. When an article is a month old, it just displays "1 month" without the mouseover, and after a year, it's just "1 year", so for older comments it becomes very unclear when something was said without the mouseover. I have the 5D II and I"m seriously considering the IV. But I'm confused by the raw and jpg quality in the comparison to the II and III. Isn't the purpose of a camera, esp a very expensive camera, to produce excellent images? Am I missing something? Better dynamic range, etc. yet it's saying the image quality is less than my Mark II, I don't understand. Appreciate any explanation. While the 5D Mark 2 has excellent image quality, I have not read a single review that states the Mark 2 has better image quality than the 3, much less the 4. The 4 will have better dynamic range, more resolution and better low light capabilities. On top of that, the auto focus system is leaps and bounds better. Lastly, it has autofocus while shooting video, which, to me, is a really nice and needed feature. I hope this helps. Oh. I see. You're looking at the comparison tool on the conclusion page. To that, I have to imagine it is incorrect, or only applies to the camera in its own time. So in comparison, the 5D Mark 2, during it's time, was more superior to its peers than the 5D Mark 4 is to its peers. I know I'm replying to a 9 month old comment but I just discovered that their RAW preview sample on page 9 (for the 5D4) was exported with the wrong camera profile. It looks like it was exported with the Adobe standard camera profile instead of the usual Camera Standard (aka Canon Standard) that was used for Mark 1, 2, 3, 5DS, 5DS R but not the Mark IV. That's why the colors look flatter with less dynamic range. D750, A7R2, XT-2 etc. etc. rate with better raw and jpeg than this camera? That's a bit unexpected. I'm sure Canon folks will love this fella, but I would have thought it should have better image quality than D750 and XT-2 at least. the MINUTE you start shooting, Dual Pixel will NOT TRACK. ie, tracking only before the burst NOT during the burst. All that money for pretty average upgrade to a 5d4 . but taking some awesome pictures. Think i might wait for the next upgrade. Thanks for the review,certainly spent my money a lot wiser. Do those Cons matter to you? None of them matter to me, but we aren't all the same. Yes, autofocus takes time to master and iTR doesn't work perfectly. But it's still probably the best AF you can buy. All the cons don't really matter, by autofocus does. Yes it takes time to refine AF, but 4 attempts and still not good? Look at the Nikon D750 review and there is no issue with AF. Nikon have got it right, but Canon seems to lack the commitment to get AF right in the 5D series. Remember the Canon CEO said at a tradeshoow that there is nothing wrong with the original 5D autofocus, so no need to improve the 5DMKII autofocus. I don't see anything in the review that says the autofocus doesn't work. Their only complaint is about the iTR feature. Does Nikon even have that? My limited experience with the 5DMkiv is that the AF is quite good at tracking moving subjects across the frame, about as efficient as the 7DMkii in that respect. However, all the reviews that I've read, are clear that the Nikon D500 and D5 are much better in as much as the Nikon tracking system is more intelligent. The Canons need a lot of experimentation, but the Nikons apparently get it right "straight out of the box", and don't need the iTR feature (or to be more accurate, it's built in, but not listed as a selectable feature). Where is the 5D Mk4 is the video comparison tool. I would like to know how well it compares to other 4K cameras. Any reason why this is not available. Will it be added some time ? I can compare the 80D against the A6300 in FHD and so on but no 5D MK 4. I'll add it to the list of cameras to add. We were more concerned by the crop and the rolling shutter to worry too much about the absolute resolution being captured but it should be in there for comparison purposed. You should now find them in the video still comparison tool in any review. Just saying IQ alone is very subjective and doesn't describe very much. Canon got ripped off. The A99ii should have been an 89 and not 92. DXoMark scores the portraiture way too high and the ISO way to low. Canon wins in 2 categories. DXoMark has always been confusing. Thanks for the thorough review, Richard. Thanks Richard. You are right, IQ means many things. What I think is more visible in the Studio Scene is the sharpness difference, where the IV looks loosing versus II and III. The final bar chart for the IQ line reflects this as well. I'm not sure that's the conclusion I'd draw, personally. At ISO 6400, the Mark IV's shadows are less noisy, even when compared at 100% view. Compare with them scaled to the same size and the IV looks even cleaner. 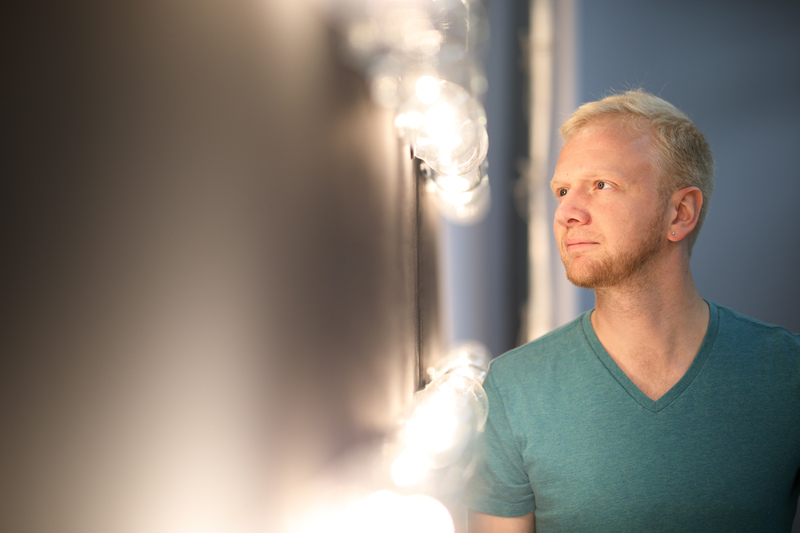 Also - something that our standard studio scene can't show - the 5D IV's dynamic range will be better than the Mark II's. This means you'll be able to pull the shadows up more on your images before noise becomes a problem. However, there is no single metric for 'IQ' so I can't be sure what aspects of image quality you're referring to, nor know what your personal preferences are. To my eye, the Mark IV looks better. I've used it for over a month now. And I can tell you that the ISO invariance thing, for all the negative comments in the discussion forums, is a very real benefit. Amazing Camera, I had it and i loved it!! "Professionals and enthusiasts looking for a durable, no-nonsense camera". What a great end-sentence. Get's it all togeter in one statement! ;) Good review, dpreview. Thanks for all the effort! Yes I think dpr has hit it on the nail here. There are much better specified cameras (e.g. Sony a99ii), but where the Canon really scores is in usability. It just feels absolutely right in the hands, most of the features are very well implemented*, making it very intuitive - almost an extension of the hands and eyes. A very different experience from some other brands, which I won't name, as it will just encourage silly fanboy warfare. The Digital Lens Optimser is NOT well implemented - see my post higher up on this page. Can anyone please tell me if this camera (Canon EOS 5D Mark IV) has face detection? That might seem a minor thing in such an up-market camera, but when you do portrait work it is a very useful feature. Do you happen to know if the Face Detection works with photos, or only video? It works in live view, with either stills or video, but you have to select it from the live view menu. Wow. What a great review. Saved me thousands of dollars not buying it. Gonna go better glass instead. 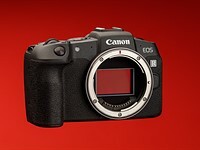 Looking forward for the 5dsII... 50mp of improved sensor sounds yummy. Would anyone happen to know electronic ND filter is built in to this cam or not. As lenses are getting super size, getting filters to fit different lenses is hard. ... just thought of an idea. What if the lens adapter to the mirrorless cam has an opening for a 'standardized' filter. It is kind of like the filter slot for the super tele. In this case, that slot is fixed to one super tele. Advantage of the opening slot on lense adapter is thst one standard filter diameter for all lenses attached to it. This allows the same filter to reuse across all lenses. (c) 2016 Me. Actually there are adapters like that for mirrorless when adapting lenses and the filter is in the adapter. There a number of different ways this has been achieved. I have issues with tethering, starts off okay but comes up with lost connection at random. does it on both computers, I have swapped out the cable twice now - still the same result. I hope to drop it into Canon next week. Full is the straight out-of-camera image at 100% view (One pixel on your screen for every pixel the camera outputs). 'Comp' view offers a series of common sizes and scales both cameras to the largest available size that both cameras can offer, so allows comparison on a common basis. 'Print' is a roughly 8MP image - representing a roughly 8 x 10" print at around 300 dpi. To be definitely clear, the picture i get using the maximum size and same settings of all cameras correspond to the "full" vision, right? Yes, that's correct. The Image size: 'full' button will show the images at full size. Also, the 5D IV will certainly be better than the other two in terms of Raw dynamic range, but that's not something that you can tell in our standard test scene. You are right bobfonte - some people just rather sit around to complain about brands or models of cameras they will never buy. 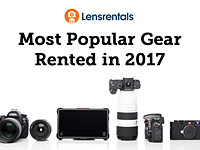 There is so much great new gear out there. so find the brand - model you do love and bugger off and use. Feel much better now. This thread is getting ridiculous and boring. Who bought a Canon 5D IV want information to help make the most of the camera. Those who want to buy then demand information to help make the decision. But in fact what we see are people who will never buy any camera of Canon 5D IV level and are putting defects and quoting features of other cameras. These people should leave the Canon 5D IV thread and migrate to the threads of other cameras. But they will not migrate because in these threads they will not find anyone to engage in polemics. "These people should leave the Canon 5D IV thread and migrate to the threads of other cameras"
Try that on Apple forums, especially the one here on DPR about the new MacBook Pro 2016. Nothing but constant trolling and it's very obvious who's buying, who's not and who is trolling. Makes for a dump fest. If you expect nothing but positive posts for the Canon 5D Mark IV then it's best for you to stay off Internet forums. In a perfect world we would all like our fave product to have all positive reviews and feedback but that's not realistic and certainly not helpful for people truly interested in buying the 5DIV. check out any youtube review of the camera. Any review boils down to the the same considerations: the camera delivers what professionals need, however it is offers a dull performance, just enough to catch up with the competition offerings. Considering the slow refresh cycles of this model, to me this is disappointing and Canon is heavily relaying on the quality/ruggedness of a body backed up by a comprehensive system and their market momentum to make a far too conservative products. I really believe that Canon must have innovative products in their pipeline. To me this step is only justified by an imminent new product and Canon rightfully wants to leave a sufficiently large market gap in place. The 5DIV will be outdated in under one year, never mind the full 4 years of its typical life cycle. HenryDJP - "In a perfect world we would all like our fave product to have all positive reviews and feedback..."
I disagree. I have favourite products, but I realise that nothing is perfect, and that what is right for one person may be completely wrong for another. In an ideal world, camera reviews and forums would be full of intelligent, considered, constructive criticisms; sensible suggestions and recommendations for improvement, from actual users, and from prospective purchasers. I've picked up a secondhand 5D III with around 40,000 clicks on it for £1,400 with warranty. I don't need the extra resolution of the IV, never had a major issue with dynamic range, and I'm willing to bet the extra resolution is enough to give some lens versions problems with quality especially at wider apertures. Since I already had to update my 16-35 f/2.8 when I had the MKII (a camera I never liked much), I'll stick with the III until upgrade is enforced by the age of both my bodies. Oh and better high ISO performance is almost always negated by higher resolution. It becomes a struggle to handhold even at 24MP. 30MP won't make it any easier. My advice is, if you must upgrade or replace, unless you really NEED the IV, get a III. It's still a superb camera. 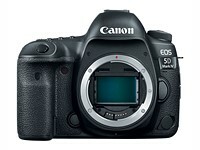 Agree, 5D Mk III is superb, the Mk IV is bells and whistles and over priced. Mk III is selling for $2499.99 down from $3400 which was the previous selling price of the MK III and is the current Mk IV's selling price. Do you think there was price gouging ...maybe?? The cost of new camera equipment has become eye-watering of late and there may be various factors influencing this. It could be Canon just "being expensive" or it could be something to do with currency strengths/weaknesses, the cost of raw materials, who knows? I'm not sure lower prices would necessarily be a good thing, but it can be hard to make a living in an industry where the tools for the job are going up in price while the perceived value of the photographer's output is still quite depressed. There's no easy answer to any of this. I keep trucking, I've managed to keep my rates up better than most, but £3,500 for a camera would not make great business sense to me. Of course there are plenty of amateurs out there who will buy the MK IV and enjoy using it on their holidays. It's a funny old world some times. I can't be sure about the Mark II, but the original EOS 5D, and both the Mark III and IV were all launched for $3400, which means they've actually got cheaper in real terms, as time has gone on. Richard, for some reason I recall the MKI being much cheaper than this at release. I thought I paid about £1,600 new for mine and I bought it pretty much at release. Maybe the pain of purchase has worn off and the passage of time has dulled my memory.
" Who Dares Wins " is not the philosophy Canon goes by. No sensor stabilization, no articulating screen, mediocre frame rates, lower resolution sensor (compared to peers), video that has inspired more YouTube trolls than exploding Samsung phones, not small, not light, still has an AA filter, is expensive, still has an optical viewfinder, and just improved high dynamic range but still behind the pack. How is the Pentax K1 a Silver and this camera a Gold ? Maybe their scores got switched. Wait until the Sony A99ii comes out, and comes out with all of the features Canon overlooked. OVF is superior. In-lens IS is superior. Pentax AF is not as good. Only 3 answers to multiple claims and those are weak. OVF superiority does not exist. It's very controversial at best. Some like the ability to check your exposure and other features only found in a EVF. More and more cameras are including them, OVF's have few benefits and it will be harder to justify their use. In lens isn't superior when the lens you are using doesn't have it. Yes, Pentax AF isn't as good, even a broken clock is right twice a day. The Sony won't have the same AF issues and all of the brands work for most purposes. 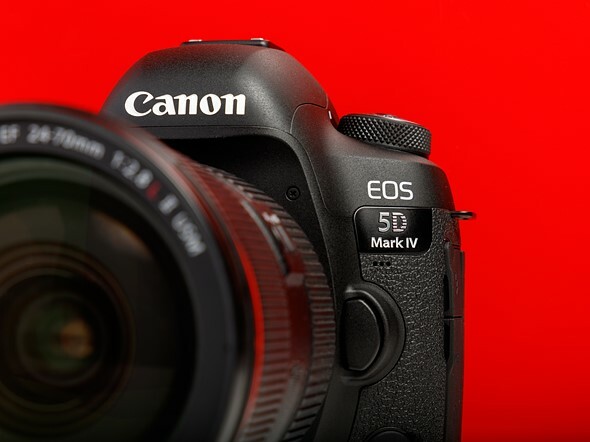 In conclusion, Canon's 5D Mark 4 is an insult to anyone who waited more than a day for it. Do you want complete redesigns, or iterative changes? What is more important to you - more megapixels or greater dynamic range? How important is video to you? Do you want built in flash? Do you want an articulated screen? Do you want an AA filter? My response was to ask for improved dynamic range and reduced noise at high ISO. I stated that 30MP was sufficient as they already have 50MP models. I said I preferred a fixed touch screen. I said I preferred iterative changes rather than revolutionary changes. I got almost exactly what I asked for, so presumably most other respondents asked Canon for exactly the same things. That's interesting entoman. To go even further, it also occurred to me that what is popular to American photogs may not be the same in Japan. Maybe the feedback they are getting directly from current Canon users also differs from the market in general. Whatever the reason, Canon is losing market share here in the US for sure. Two things occur to me though, why would you want a AA filter and why not have an articulating screen when you can always choose not to adjust it ? Those two things also happen to be the two biggest complaints about the IV, not getting into video. Carmack - I find it sad that Canon is losing ground. I've owned or used almost all of them at some stage and found them very pleasurable to use, and to provide fine images. I chose my 5DS over the 5DSR because I don't want to risk the unslightly moire effects that sometimes affect cameras fitted with AA filters. I shoot wildlife with fine details like fur, feathers and butterfly wing scales, all of which can be affected by moire. 5DS images sharpen up extremely well, without introducing moire. A fully articulated (80D-style) screen would be very handy, but might increase fragility. My cameras get bashed regularly and have to be tough. I've seen my 5DS go crashing down onto boulders twice, once having fallen out of a rucksack that I forgot to zip up properly when working in a hurry, the other time when I tripped. It survived these ordeals with little more than a couple of scuff marks. Please link to evidence of Canon losing market share, beyond that which can be attributed to simply having more choices in the market. Canon, as any leading brand in any market, has the luxury to moderate their pace and afford to loose some ground. Do not need to run if you can get away with walking. I am sure that the R&D department has been busy and Canon will release at a critical time the product necessary to regain ground. It is also true that many pro photographers are very conservative in their way of shooting. But this is changing fast too. Who claims that OVF is superior and in lens stabilization is superior is obviously a very conservative shooter that is likely making the statement without having any experience of current state of the art mirroreless such as an A7RII. armandino - Yes, as market leader, Canon can afford in purely economic terms, to loose some ground, but even the most ardent Canon enthusiast (that includes me) is concerned that Canon specifications (and to some degree, performance) are not keeping up with Nikon and Sony. Most of us stay with Canon because we love the ergonomics, reliability and the lenses, but that doesn't mean we are satisfied with Canon's deliberate decision to release models with relatively inferior specifications, when they are perfectly capable of giving us more, and at a price that competes better with Nikon. I agree with you, but I believe that at Canon they know what they are doing. My gut feeling is that they are squeezing every drop they can from their old technology before moving on. As I replied to you down below in and older post, I bet there is an innovative FF mirrorless from Canon around the corner, with a high performance do all Dual Pixel AF, and the 5DIV is purposely designed with conservative specifications for readily retire in favour of a new generations of cameras, at the time when the majority of photographers (including the more traditional shooters) will be ready to make the switch. That is why I primarily shoot with an A7RII with Canon lenses. This little camera came around at the perfect time and it fills the perfect purpose, while I wait for the Canon mirrorless to come. armandino - Yes, I understand Canon's philosophy that they only give us what they think we need (reminiscent of Apple), and only release new technology when they are satisfied that it is mature and fully tested. But, the problem is that many Canon users are already switching to Sony, and if Canon don't speed up, more people will jump ship. Furthermore, newcomers may be more attracted to Nikon, Fuji, Olympus, Pentax or Sony, so Canon will be unable to build brand loyalty. Canon are playing the waiting game, but meanwhile Nikon are pulling ahead. Sony already have quite incredible cameras, and as demonstrated by the recent a99ii, they are now not far behind Canon/Nikon in ergonomics either. you do not have to convince me about your frustration and concern. My main body now is the A7RII, I am in the process of getting rid of my 7DII and preparing to purchase the next FF Sony coming out next year. At this very moment FF Canon offering is lame, I just had a friend asking me what to buy and I could not really give him a clear answer. 5DIV is realistically overpriced and only justified by who makes real money out of it. 6D and 5DIII are great cameras but outdated. Hopefully 6DII is around the corner, but I am not holding my breath as it will be clearly a step down from the 5DIV. 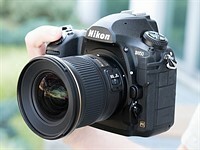 Yes, the 5DMkiv is overpriced and far from cutting-edge in specification or image quality. I've got 5DS, 5DMkiii and 7DMkii. I think that the best cameras Canon currently make are 80D in APS format, and 5DS in FF. The latter is extremely good in all respects apart from high ISO, where the quality drops below the standard I demand, above ISO 1600. My 5DMkiii and 7DMkii will go on ebay soon, but I'll keep the 5DS and pray that Canon bring out something with a sensor as good as that in the a7Rii with the next iteration of the 5DS. I might be backing a losing horse though! at the time I was going to get the 5DSr, I even tested one in the store. Very familiar as I lived and breathed a 5DIII for almost 2 years. I am happy I picked the A7RII instead. I need to deal with quirks and bugs, but I it really offers expanded creativity when compared to a conventional DSLR. For me the choice was easy as I have a 1DX to fall back on if things do not pan out with the A7RII, but I have to say that I am using the 1DX less and less, even for sports. I am really looking forward the new Sony mirrorless. If the leap is comparable to the previous iteration it is going to be just incredible. armandino - yse, I think the next generation of E-mount Sony will be amazing. I held back from getting the a7R and a7Rii mainly because of the ergonomics, which are still way behind Canon or Nikon, but I suspect that Sony have learnt a lot, and that the next iteration will be much better in that respect. I'll also be keeping a close eye on user reports and reviews of the a99ii, which to me is a much nicer design, but has yet to be proven to be able to stand up to the sort of treatment it would receive in my hands, i.e. subjected to extremes of heat and humidity, and getting knocked against boulders etc quite regularly. Canons can handle that, but I'm not sure that Sony could. Do you use your Sony in extreme conditions? By the way, I appreciate having an intelligent discussion on this. It makes a nice change from some of the fanboy exchanges! the A7RII ergonomics is not bad at all with the battery grip and some button/menu customization. Actually, once you get used to it is just as good if not better, just different. The fact is that the few times I need to switch from the A7RII to the 1DX I miss the shooting experience of the A7RII. This surprises myself too as I have always been a DSLR fanboy and worked for years with all the best camera bodies Canon has offered. I'd say responsiveness and a better monitor (touch screen too!) are really what Sony needs to work on. Other improvements are welcome, but it really boils down to this. I purchased this camera and until I read these comments I thought it was awesome. After reading the comments below, it is clear Canon has no idea what they are doing, I am an idiot, and I should change to Sony or Nikon. I purchased mine in September 2016. Used it recently for a week in Barcelona with the 11-24mm, 24-70mm and 70-300mm lenses and couldn't be happier. why would anybody read review comments after they bought the product ? It reminds me of the people in the UK who Googled " what is the EU " after they voted for Brexit. The review compares EOS 5D Mark IV to Sony A7RII and Nikon D810. Did the author forget that Pentax made an extraordinary FF camera, thanks to its IBIS/SR, Pixel Shift, Isovariance and sensor hardware process? George Zip - That is completely illogical. If you purchased the camera and thought it was awesome, why were you then swayed by someone else's opinion? Either it suited you or it didn't. Yes, Canon have fallen behind in the race for ever-better specifications, but as a picture-making machine, the 5DMkiv is extremely well designed. I have criticisms of it of course, e.g. I would greatly prefer twin SD slots, many users would like an articulated screen, but it is still nevertheless an excellent machine for stills photography. teiki arii - Agreed, Canon always overprice their cameras, but they always manage to sell them. Pentax K1 and Nikon D810 are both better value. Call me crazy if you like, but I still prefer Canon to any other brand, and I've tried most. Hi entoman, I had EOS 5D/5DMarkII/6D(x2). The best performance/price ratio in Canon brand was EOS 6D. A very nice camera without banding. But for my use with Leica-R lenses, I prefer Pentax K-1 by a margin to compare to EOS 5D Mark IV and Mikon D810 thanks to IBIS/SR essentially. But you're not crazy, you have your reasons that reason doesn't understand (it's a joke). Probably your needs are not mines... Best regards. Yes, the 6D struck a good balance between price and performance and I know several people who love it, but I had 2 of them and found them unreliable in very hot/humid conditions, so switched to the 5DMkiii and later to the 5DS. I've owned, or in some instances hired and extensively field-tested D610, D810, a7Rii and all are excellent cameras. I use Canon in preference to Sony or Nikon for 3 main reasons. Firstly, I love Canon glass and have several L primes. Secondly, because I find Sony cameras fiddly to operate with hot sweaty hands or in cold conditions with gloves. Hopefully the next generation of Sony cameras will be better ergonomically. Thirdly, never-to-be-repeated shots can easily be missed during the adaptation period after switching brands, so I would only switch if the "opposition" offered really substantial advantages for my own genres of photography. your logic is exactly the reason for the 5DIV to be what it is and Canon holding back. @George Zip: Why ? What is your issue ? We are using the 5DM3 und 5DM4.. and we could not be more satisfy. armandino - I agree that the 5DMkiv is a very "safe" upgrade for owners of 5DMkiii or earlier. I'd certainly be very happy to exchange my 5DMkiii for the 5DMkiv and run the latter alongside my 5DS. The problem is that innovative companies like Sony (and in the M43 world, Olympus) are offering features that open up new areas of photography, whereas Canon are not (with the exception of dual pixel AF). And even the less innovative but highly regarded Nikon, produce cameras that are a couple of years ahead of Canon in specification and performance (e.g. AF subject tracking), and equally reliable, for a lower price. I dig that there is better value for money, and there is more innovation. Me personally, I favour reliability, stellar lens availability and ergonomics. This camera ticks those requirements. But one thing that makes this camera really really good is the AF system. It is truly outstanding. Also the metering is excellent. At the end of the day, I want to take good photos and this camera helps me do that. Innovation is great, but innovation for the sake of it is not always a good thing IMO. Ps. I have nothing against the other brands. Let's face it, all modern cameras are good. It's entertaining to nit pic over differences that in reality do not help you take better photos, but with the technology we have now across all the brands it really just gets down to personal preference for whatever reason . Different strokes for different folks. Peace dudes. I have no objections to your observations. And I agree that the 5DIV consolidates current technology in a rugged and reliable body. Although a personal preference, I think that cameras like the A7RII opens up a range of creative opportunities that traditional shooter either underestimate just because unaware, or openly in denial. I shoot with both 1DX and A7RII (aside from a realm of other cameras too). I will pick the the 1DX for the ultimate reliability, but 95% of the times it is the A7RII and the 1DX stays in the bag. There are so many shots that I just cannot get with the 1DX, but not vice versa, unless i truly need shear speed. But with the A99II on the market and with its astonishing performance I can hope that the speed will be addressed soon enough with the next Sony body. Then, if that is the case, the 1DX (and the 5DIV) will be truly obsolete, and that could well be just a few months away. Genuine question..... what sort of creative shots are you getting with your Sony that you can not with your 1DX?? armandino - I totally agree that Sony are setting a blazing pace. Personally I find the a7Rii still a bit "fiddly" and prefer Canon ergonomics. As we have both pointed out in previous threads, the a99ii could be a game-changer (hate that expression), combining extremely good DSLR-style ergonomics with the best tech that Sony can offer. The next generation of Sony will probably blow Canon and Nikon out of the water, but at this current moment, I can do everything that I want to do (and it's quite an extensive list) with the 5DS. rumours are that soon we will have an A9, direct competitor of the 1DXII and D5 and priced similarly. Given the A99II I am really itchy to see what that is going to look like! It's pretty sad that so many people couldn't tell that the OP was clearly joking. 'Inside the cabinet' is - strictly speaking - how we should express that phrase but I think that sounds even weirder. It's unnecessary jargon. You can write about framerates and AF all you want without having to use either phrase. I was just looking at an old camera review and realized there used to be resolution tests and a Stouffer step wedge test. What happened to them? When did they disappear? What about the low light capability of the AF? The comparison of auto focus in low light in the D750, D810 and A7R II review was extremely interesting and I would love to saw it in the Xpro 2 and the A6300 review. I hop you will include this comparison in the A6500 and X-T2 reviews! Thanks for your although very accurate reviews!! Checked image quality at high ISO. It is almost the same as the four-year-old 6D! Do you own both a 6D and a 5D4? If yes, what else did you compare other than ISO performance? What improvements does the 5D4 show over a 6D strictly in terms of image quality? For my kind of photography and new interests, high ISO was my paramount concern. So hell no I did not look at other differences because in the first place they won't matter to me. Then this camera is not for you. Except the better dynamic range and the flexibility of the files at any iso there is no difference at high iso. Indeed. And how do I find out it's not for me? By reading reviews and comments, right? I have the 6D, the 5DMKIVs iso is superior to the 6D. Try bringing up an underexposed raw image by say, 5 stops on each. If you like banded, green noisy darks then the 6D is for you. Not me, on my 5DMKIV shooting at 6,400 I still have very usable images. I'll take your word for it since you've seen it on both cameras. However, my 6D does not produce the banding you described. Further, I seldom take a shot so underexposed with an intent to pump up. My niche is Mountain Real Estate which often requires shooting interiors of dark cabins and layering in a 10 stop swing from the dark areas of a room to the outside views often with reflective lake thru the windows. While other brands that might have a better Dynamic Range, the MKIV is blazing fast and very accurate with it's new AF system. I'm comfortable with its touch screen menu and color reproduction My 6D was the interim camera from my MKII. The 6D had better focus and lower noise at higher iso, for me, it filled the gap waiting for the MKIV and held its own against the MKIII. I'm just exploring the new features of the MKIV and for my use it's already a no brainer. Depending on what your needs are it might not be the right camera for you or someone else. Now with that said, it's not a leap forward like the previous iterations like from the 5D to the 5D II but it's a well rounded camera that will be an excellent upgrade for many still shooters. Back illuminate/improve microlenses, will buy less than a stop maximum, and at significant expense. 2. replace bayer matrix with 3 sensors, or "foveon" sensor. Not sure how well it could work with back illumination. maybe one stop improvement. Less readout noise is nice, but we are shot noise limited @ISO25600. Low ISO is a different matter, there the 5DIV wins by a country mile. Noogy - Try checking the file flexibilty and you might be converted. 5DMkiv is still not quite up to the standard of D810 or a7Rii but is way better than previous Canons. You can pull a 4 stops underexposed 5DMkiv image without noise or banding - that's a 2 stop gain over the 6D. You got me really curious, again. I'll head out to my favorite photo store! Wow, I have a Nikon D3s and is right up there with my son's 5D Mk III and IV, BUT, I rarely use it. Try ISO (used to be ASA) 800, love it! Great 11 x 14 prints w/good color saturation. Guess I will never be a "Camera Whore". Just bagged the 5DMIV. Thanks, everyone for your comments. Tested the camera in my hands for a few hours, with two types of L lenses. It is a different league from the 6D in many respects! Noogy - Glad I convinced you to try it. Enjoy your photography! Your words say the raw files are better than the JPEGs, but the bar chart at the end shows the Raw files poorer than the 5Diii and the JPEGs better. Is there a problem with the rating chart? Cute shot of the dog in water.The 5D series always takes great shots to look at. A head to head between the Canon Eos 5D MKIV and the Sony Alpha 99-II would be interesting. The Canon 5D MKIV would get totally slaughtered in that comparison. The far better selling Canon, is at least 5 years behind the Sony a99 II in terms of ingenuity and advancement. EXX - My guess is that the Canon would have the better AF system, but the Sony would score higher on image quality and other aspects of specification. Sony is the market leader in terms of innovation and performance, but as KingofSong states "Canon has the far superior lens line up". That, and the fact that it is generally accepted that Canon has far superior ergonomics, far better battery life, and proven reliabilty and durability, are the reasons why Canon remains the market leader, despite having fewer "features" and slightly lower specification. Can anyone play correctly the 4K video of the EOS 5D Mark iv on a Mac? It's worked fine for me using Premiere Pro CC and also just within the finder's 'preview' function. If you have a 10 To array of SSD's connected via thunderbolt 3, then you're fine and can watch a good 2 minutes clip almost smoothly on any recent MacPro. No getting around the fact that the size of the codec is super annoying, but it does play just fine.